In 1858 Rosenberg and Company founded a brewery at 24 Bouverie Street, North Melbourne and traded as the North Melbourne Brewery. This enterprise lasted for little over twelve months and in 1859 the brewery closed down. In 1864 a Mr John Bellman reopened the brewery naming it the Carlton Brewery, after the new title given to the area immediately north of the city. In 1866 the brewery was purchased by Edward Latham and G.M. Milne and very quickly expanded in output and land development. 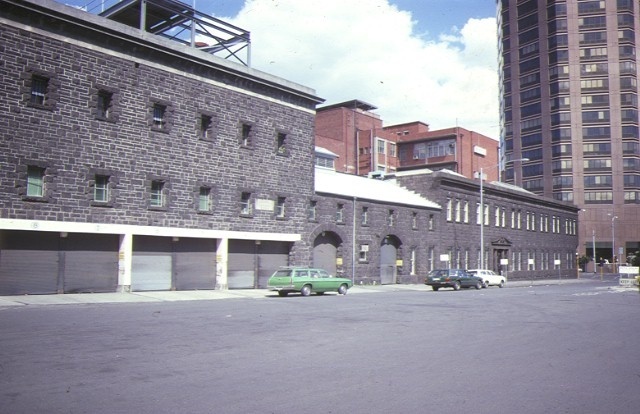 In 1870 large stables were built on the north side of Ballarat Street and large cellars were built in Victoria Street. In 1872 the original plant and chimney were demolished and replaced by a new brewing tower. In 1881 Latham sold out to the Melbourne Brewing and Malting company but retained a large share-holding and remained as co-manager till 1884. A further bluestone warehouse was erected on Bouverie Street in 1883 and a wine and spirit store was built on the corner of Franklin and Swanston Streets. The withdrawal of Latham's capital in 1888 forced the company to amalgamate with the west end brewery at Williamstown and the Carlton and West End Breweries Limited was formed and by 1897 was second in trade of all the Melbourne breweries. The brewery continued to expand by acquiring more land and building new structures including the first major building on Swanston Street, the Malt House in 1904. In 1905 the company bought out the Victoria Brewery which had been in receivership. Carlton and United Breweries Pty Ltd was formed one year later by the amalgamation of the Carlton and Victoria Breweries and the McCracken, Castlemaine, Shamrock and Fosters Breweries. In 1913 the company became public. In 1925 the Bouverie Street frontage was completed by the construction of the bluestone building on the corner. In the 1950s the whole factory was substantially and radically refurbished and the plant and processes were renewed. Brewing on the site ceased on the site in 1987. 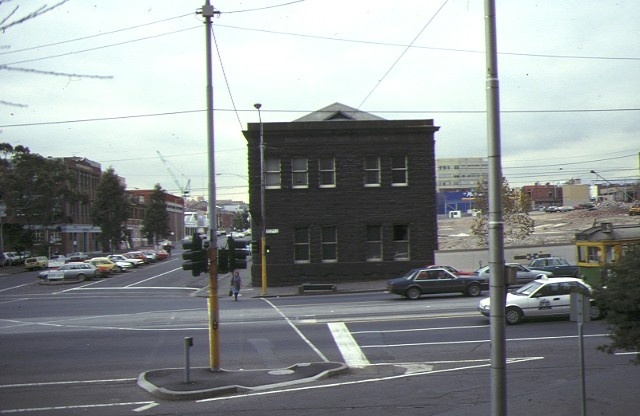 All but the bluestone buildings on Bouverie Street and the Malt House on Swanston Street were demolished in the 1990s. 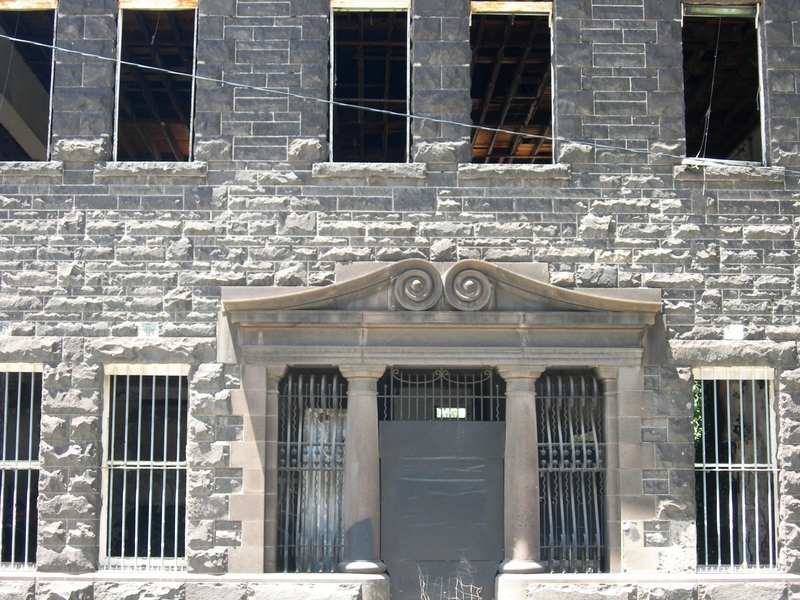 The bluestone buildings on Bouverie Street were constructed in stages between 1864 and 1927. They have undergone alterations to the windows and installation of large openings to allow for vehicular access on the northern most buildings. The red brick malthouse constructed in 1904 to the designs of H.V. and A Champion is three storeys high with a basement. The latter was devoted to fermenting cellars, the first floor to storage accommodation for sugar and hops and the 21 malt storage tanks took up floors two and three. Cement dressings create an arcaded facade to Swanston Street. 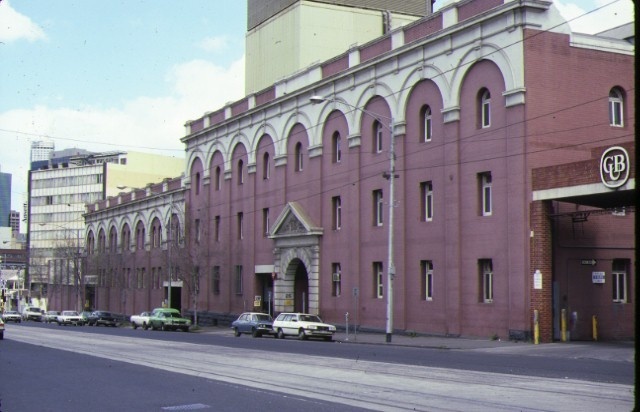 The former Carlton and United Brewery is of historical, architectural and technical importance to the State of Victoria. The remaining buildings of the former Carlton and United Brewery are of historical significance as remnants of an early brewing industry that developed during the latter half of the 19th century and the 20th century as the principal centre of brewing in Victoria. The brewery which started on this site in 1864 developed into the Carlton and United Breweries Pty Ltd in 1906 after amalgamation of the Carlton and Victoria Breweries and the McCracken, Castlemaine, Shamrock and Fosters Breweries. The remaining buildings are important for their representation of the early manufacturing history of Melbourne's inner suburbs. The former Carlton and United Brewery is of architectural significance as the evolution of the company is expressed in the Bouverie Street buildings, which contain remnants of the earliest brewery and reflect the site's expansion under the direction of Edward Latham. The remaining buildings on the former Carlton United Brewery site are of architectural importance as they are expressive of 19th and 20th century brewing processes. The Malthouse on Swanston Street, designed by H.V. and A Champion is indicative of the expansion by the Carlton Brewery Ltd at the turn of the century. The cement render arcading on the facade of the building is of interest. The 21 malt store tanks contained in the Malthouse are of technical importance as they were an innovation of their time and believed to be the only ones of their type in the Southern Hemisphere when constructed. They were erected by the Monier Concrete Co and were constructed of cement and bluestone concrete, with perpendicular steel rods, laced with cylindrical rods. E.G. Latham, an Englishman, who was born in 1839, came to Victoria in 1864. His partner was Mr. G.M. Milne, brother of the Hon. Sir William Milne of Adelaide. Not much is known of Mr Milne and Mr Latham who was apparently a very active and shrewd businessman soon eclipsed his interest in the brewery. Mr Latham did not settle in Melbourne until 1866. When he arrived in Victoria he soon crossed the strait to Tasmania, where he married in 1865. Business in Hobart town was not suitable to his talents so he returned to Melbourne where he closed for the brewery with Mr.Milne in 1866 (D.Sloane and J. Sullivan, 1966). The Carlton Brewery had its beginnings in 1858, when Rosenberg and Co. established the North Melbourne Brewery at 24 Bouverie Street. Although this venture lasted more than a year, the brewery was re-opened in 1864 by John Bellman, who re-named it the Carlton Brewery. Bellman continued to use the plant operated by Rosenberg and Co., and built new offices and stores along the Bouverie Street frontage. In 1866 the brewery was purchased by Edward Latham and G.M. Milne and it was under Latham's tutelage that the business began to prosper. During the next twenty years, as the plant began to expand more land was purchased, and new buildings were erected. 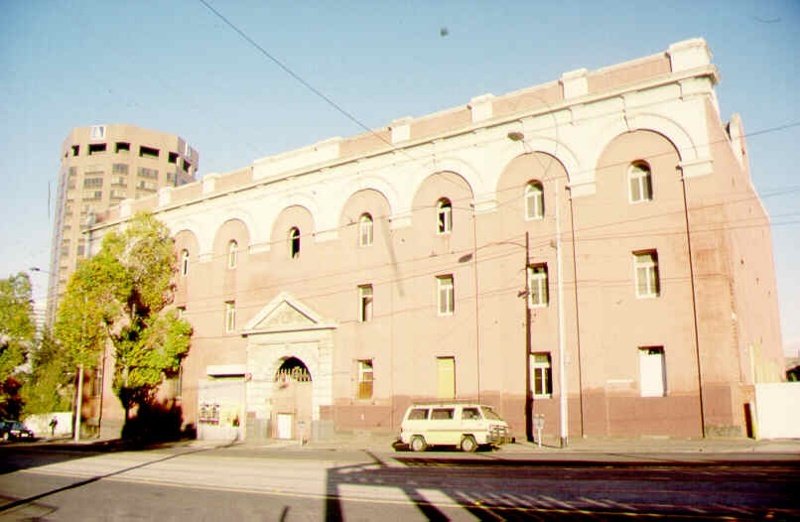 In 1870 large stables were built on the north side of Ballarat Street and large cellars were built in Victoria Street. In 1872 the original plant and chimney were demolished and replaced by a new brewing tower. In 1881 Latham sold out to the Melbourne Brewing and Malting company but retained a large shareholding and remained as co-manager till 1884. It was during the ownership of the brewery by this company that the ale stores at the corner of Ballarat Road and Bouverie Street were built, in 1883 and a wine and spirit store was built on the corner of Franklin and Swanston Streets. Although subsequently altered, the overall form of this building remains intact. In 1888 Latham disposed of all his interests in the company. 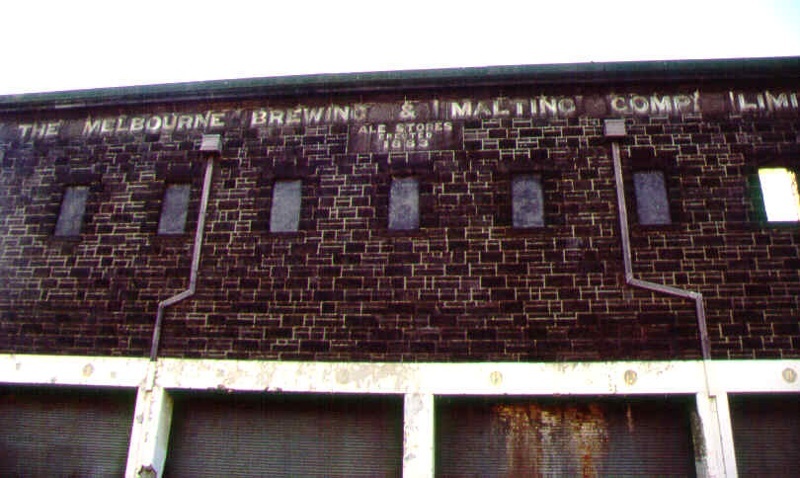 The withdrawal of Latham's capital forced the company to amalgamate with Terry's West End Brewery at Williamstown (which turned into a depot) to form the Carlton and West End Breweries Limited and by 1897 was second in trade of all the Melbourne breweries. The Melbourne Brewing and Malting Company amalgamated with Terry's West End Brewery in 1889 to form the Carlton and West End Breweries Limited, a move which no doubt prompted the erection in 1890 of new offices adjoining Bellman's Bouverie Street building. These offices have undergone few external alterations. The depression of the early 1890s forced the Carlton and West End Breweries Limited into liquidation, and in 1896 a new company was formed under the title of the Carlton Brewery Limited. As the company gradually recovered, it was able to capitalise on the failure of a number of other Melbourne breweries and secure their trade. This period of recovery and expansion culminated in 1901 in the erection of an extension to the 1890 offices. Originally built to house the cashier and accountant's offices, this building subsequently became the main entrance to the Brewery. In 1901 a new boiler house and chimney was constructed. The brewery continued to expand by acquiring more land and building new structures including the first major building on Swanston Street, the Malt House in 1904, and in 1905 the company bought out the Victoria Brewery which had been in receivership. Carlton and United Breweries Pty Ltd was formed one year later by the amalgamation of the Carlton and Victoria Breweries and the McCracken, Castlemaine, Shamrock and Fosters Breweries. The plant at Carlton continued to be used for brewing by the new company, as did the Victoria Brewery, which had been purchased by Carlton Brewery Limited in 1905. The plants owned by the other breweries were retained for use in times of emergency. 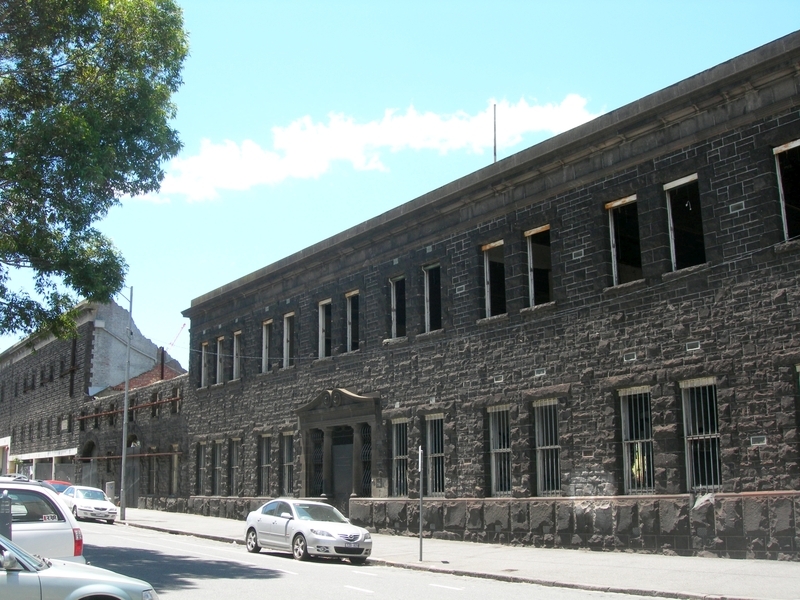 No great extensions were made to the Carlton site until 1910 when the cask washing area on Swanston Street was enclosed by a new building designed by Billings and Peck. This continued the arcaded facade of the Malthouse and is today substantially what one sees on the Swanston Street frontage. 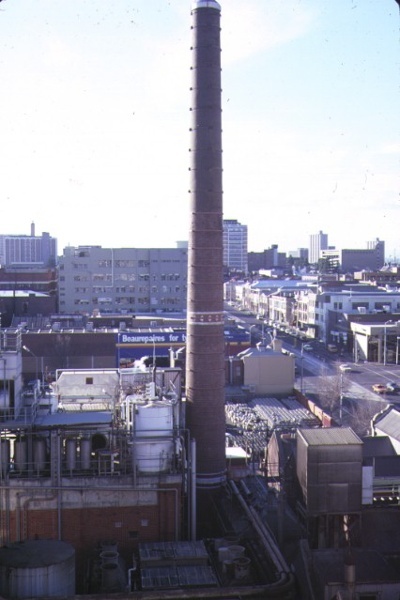 By 1909, the plant at Carlton extended over most of the block bounded by Madeline (now Swanston), Victoria and Bouverie Streets, and Ballarat Road. In 1910, to facilitate speedy loading and unloading of casks, a road was formed through the site from Swanston Street to Bouverie Street, where a second entrance was cut through the old bluestone offices and stores built by John Bellman. In 1913 the company became public. The next major alteration to the Bouverie Street buildings was the addition, in 1920, of a third storey to part of the 1864 John Bellman building giving this part of the facade the appearance of a continuation of the adjacent ale stores. Then in 1925 the Bouverie Street frontage was completed by the construction of the bluestone building on the corner and the tanks were updated. 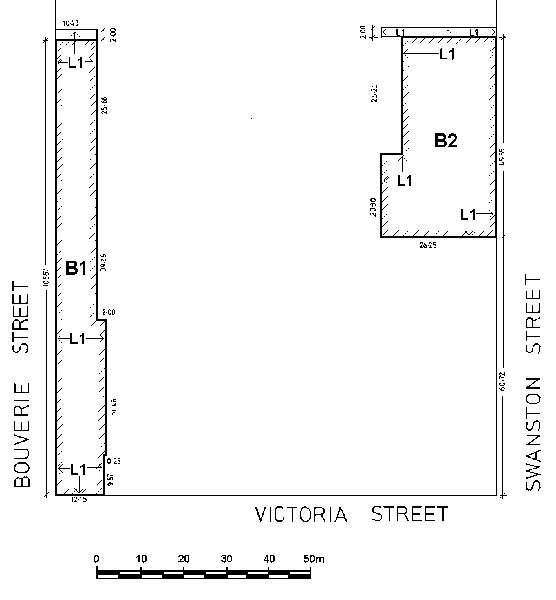 Then, in 1927, further extensions to the to the 1890 and 1901 offices was made, thus completing a continuous line of bluestone buildings along Bouverie street from Victoria Street to Ballarat Road. This building housed executive offices and a board room, a function it continued to serve until the Brewery's closure. The company continued to prosper, and in 1924, began purchasing hotels throughout the state. Then in 1925 CUB's major competitor , the Melbourne Co-Operative Brewing Company, was absorbed, and its brewery at Abbotsford was utilised for the production of bottled and cask beer. By 1949, a rationalisation of production processes at the three plants had brought about the end of bottling at Carlton. Major alterations to the northern end of the Bouverie Street building to facilitate speedier loading of casks for delivery was begun in 1940, when a new vehicular opening was made adjacent to the 1910 archway, providing access to a loading platform behind. Over subsequent years, the whole of the ground floor of the three storey section of Bellman's 1864 building was opened up, providing a continuous run of vehicular openings along the Bouverie street facade. Then in 1955, the 1883 Ale Stores were completely transformed into a two-storey building, with a bulk dispatch area on the ground floor, and bright beer cellars at the upper level. To facilitate these works, the existing floors removed, as was the entire Bouverie Street facade. A continuous run of vehicular openings was provided along Bouverie Street, and above these the bluestone walling was reconstructed, although with the second storey windows omitted, and the third storey windows relocated incorrectly. 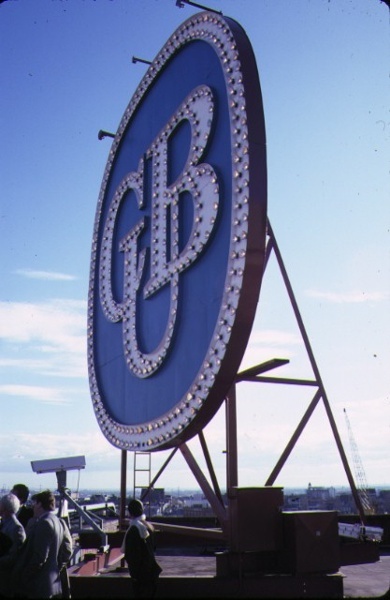 Production ceased at the Carlton Brewery in 1987. The Victoria Brewery closed down in 1983. The whole of the design of the building and machinery was suggested by Lieut. Col. Ballenger, the company's head brewer. The architects were Messrs H.V & A. Champion and the builders were Messrs. Baxter and Boyne, to whom credit is due for having finished their work some weeks before contract time. The tanks were erected by the Monier Concrete Co. and to the old and esteemed firm of Robert Bodington, the well known millwrights and malting engineers of Melbourne is due the credit of having erected and installed the elevators, conveyors, shafting & c. The manager of the brewery at the time was Mr. T.L.Parker. The building was so arranged that the taking in of malt from the lorries could go continuously without any clashing or interfering with other work, there being a right of way leading into Ballarat Street branching off from the passage way. Wagons would enter by Madeline Street and leave by Ballarat Street. New Malt stores and fermenting cellars in Madeline Street Carlton adjoining the brewery. It will be seen that they are most ornate in construction being at the same time built on practical, scientific and modern principles and are of notable proportions. The buildings are thoroughly fireproof and contain very spacious floors and a basement. The latter is devoted to fermenting cellars, the first floor to storage accommodation for sugar and hops and the huge malt storage tanks take up floors two and three. The buildings are solidly erected of brick and cement throughout and no expense has been spared to make them lasting and up to date in every particular. 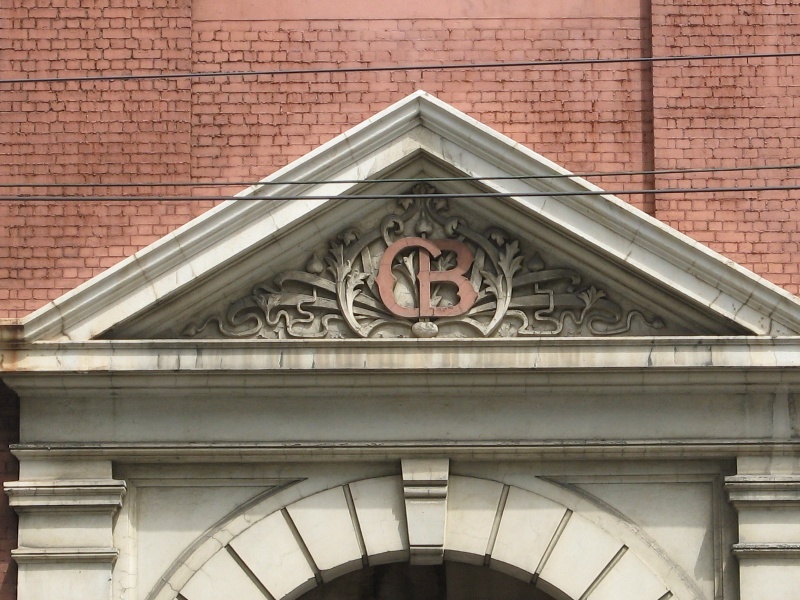 Over the entrance the monogram C.B is worked in a very pretty design. The erection of these new buildings has enabled the company to concentrate all of its vast operations in the one block and at the same time to effectively cope with their very large and increasing output. The cellars are situated along Madeline Street (Swanston Street) and were constructed to be hidden from the view of the public. No entrance could be gained except from within the brewery. They were designed with high roofs, ceilings level with the street, systematically drained and connected with the Metropolitan Board of Works sewerage scheme. The ceilings are supported by a number of tall steel columns, the floors were scientifically graded in cement. The frontage in each instance is 63 feet by a depth of 83 and 69 feet respectively. The new building was divided in the centre to allow for a passageway for lorries. The malt-laden wagons would enter here from the front in Madeline Street. Immediately inside the large gates was a large ten-ton Avery weighing machine. Also inside the brewery gates was a large hopper. Here two men and the driver would shoot the malt into the hopper. The main feature of the building was the malt store tanks. They were an innovation for their time and were believed to be the only ones of their type in the Southern Hemisphere. They were erected by the Monier Concrete Co, who succeeded in obtaining the tender in competitions with all the leading boiler makers of Victoria, the cost of building them being £100 cheaper per tank than the steel ones. There were 21 of these tanks installed, twelve in the southern half of the building and nine in the northern portion. The tanks are built of cement and bluestone concrete, with perpendicular steel rods, laced with cylindrical ones. The bottoms and dome tops are made of the same material. They go through the height of two floors, their capacity is 1450 bags or close upon 6000 bushels each. This makes a total holding power in the 21 tanks of over 120, 000 bushels. The remaining buildings of the former Carlton and United Brewery are of historical significance as remnants of an early brewing industry that developed during the latter half of the 19th century and the 20th century as the principal centre of brewing in Victoria. The brewery which started on this site in 1864 developed into the Carlton and United Breweries Pty Ltd in 1906 after amalgamation of the Carlton and Victoria Breweries and the McCracken, Castlemaine, Shamrock and Fosters Breweries. They are important for their representation of the early manufacturing history of Melbourne's inner suburbs. The remaining buildings on the former Carlton and United Brewery site are of architectural importance as they are expressive of 19th and 20th century brewing processes. The former Carlton and United Brewery is of architectural significance as the evolution of the company is expressed in the Bouverie Street buildings, which contain remnants of the earliest brewery and reflect the site's expansion under the direction of Edward Latham. The Malthouse on Swanston Street, designed by H.V. and A Champion is indicative of the expansion by the Carlton Brewery Ltd at the turn of the century. The 21malt store tanks contained in the Malthouse building are of technical importance as they were an innovation of their time and believed to be the only ones of their type in the Southern Hemisphere when constructed. They were erected by the Monier Concrete Co and were constructed of cement and bluestone concrete, with perpendicular steel rods, laced with cylindrical ones. * Works required for making buildings safe and protecting them against weather and vandalism, eg. temporary fencing and closing up of openings. * All interior alterations that do not adversely affect the exterior appearance and structure of the building. The main importance of the bluestone buildings facing Bouverie Street lies in their facades. The interiors of these buildings have been completely altered and do not retain their original features. Alterations to these buildings should not adversely affect the exterior structure or the facade. The form and facades of the Malthouse are of importance and should be retained. The interior features of the Malthouse that demonstrate the process of brewing are of importance. Development Guidelines for the Carlton & United Breweries site were adopted in 1995 and endorsed by the Historic Buildings Council- see Attachment screen of Hermes. These guidelines will be considered in association with any future heritage permit applications.